In our last post, we reviewed Intex Aqua Trend, which is a decent device. It has got some good features like 4G support in both SIMs and unique flip cover and at the same side, it has few downsides too like a dull camera and screen. Intex has come with a series of smartphones and the latest in the line is Aqua Ace which is priced at 12,999. Intex is known for making a cheap smartphone which usually costs around under Rs, 10,000 but, after seeing the competition in the smartphone market, Intex is all set to make it presence felt. So, let’s see what Intex Aqua Ace have in it to impress the users and what all things will become the reason for its downside. The phone is making a lot of buzz as it features a 3GB RAM which is becoming quite a trend these days. It does seem like a pure pro but, it actually turns out to be the biggest con of the phone. Despite, having a 3GB of Ram, the device fails to impress. This proves the fact that one should never ever focus entirely on the specification as it is not necessary that good specs will deliver good performance. Looks were one of those things which used to be the major downside for Intex. 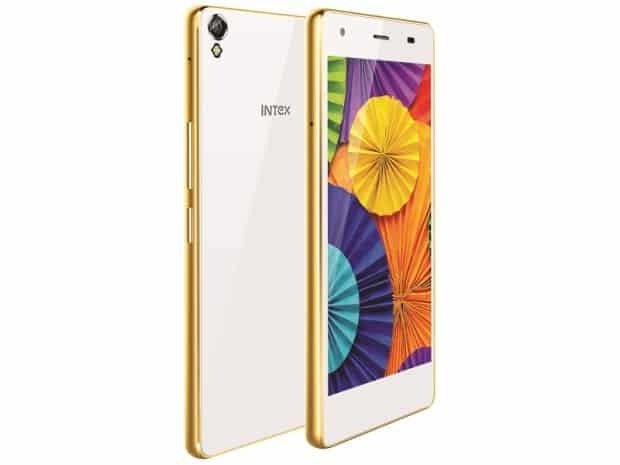 However, Intex has learned from its mistake and finally have come up with a decent design. The phone features a metallic rim running around the sides which seems highly inspired from Sony. Intex Aqua Ace surely doesn’t have the best in class looks but, it is certainly better than previous models of Intex. Intex is on a roll when it comes to 4G connectivity. The company is trying very hard to make sure that users remain connected with the internet for most of the time. We saw the presence of 4G support in both SIMs in the recent Intex Aqua Trend and now again, we have 4G connectivity support in both the SIMs. Great going, Intex. The battery remains the main problem for most of the smartphones but, Intex Aqua Ace seems like an exception here. At just 2300mAh, the phone was able to deliver a usage of close to 10 hours which is enough considering the battery size of the phone. When it comes to camera quality, Intex is not the one to be trusted. The phone features a 13 MP camera but, it is nowhere close to the quality of images clicked by a 13 MP camera. Getting a focus is a real tough job and most of the time, you will end up clicking photos with dull brightness and details. At 12,999 the device seems highly overpriced as it has nothing much special for which user will pay such an amount. One can opt for Asus ZenFone 2, Moto G 3rd Gen. which are much better in both performance and looks. You can purchase online Asus X55LA from Amazon.